August 17, 2015 August 18, 2015 . One of the main focuses within Martial arts is the Stances. Only when the position of the arms and feet are in harmony you will find maximum speed, force and effect. A stance is the way the body is accommodated when attacking or defending itself to aggregate maximum force. Often we focus on the positions of the feet. The four feet basics: Open or close feet, long or short feet stance, high or low center of gravity, and weighted or unweight feet. Different martial art has different ideas about five basics depending on their philosophy and nature. Sometimes we find differences between training, fighting and demonstration. ALL styles have the stance in common. All styles use the same muscles and have to follow the same laws of movement. The natural path of movement is the same for all. One of the first things we learn in life is to use our eyes, hands and feet correctly. It is only one way to walk and one way to jump; the rest is just a matter of style. In most of our activities we depend on our muscular skeleton apparatus. Our muscles are sets of muscles and function in pair of muscles; pulling around our bones to make us move and to do things. You never use only ONE isolated muscle; you depend on the interaction between several muscles. Some muscles dominate a movement, some will support your movements and some depend on the movement of other muscles to function. To be able to move some muscles have to contract and others need to relax. If you decide to perform a specific movement, you have to prepare the involved muscles before executing the movement. When a muscle contract then its antagonist needs to relax; a muscle is Yang the corresponding opposite need to be Yin; they are interconnected. Chinese medicine explains this as the interaction of Yin and Yang. The muscles function in a system, a circuit. A decision to move starts in the mind. Shen (the mind) sends the muscles a signal. It exists a pattern – a system where this signal runs. This is the system we are going to enclose in this article. It is IMPOSSIBLE to intent a move without preparing the involved muscles for their action or relaxation. Once we had to activate our muscles, strengthen them and coordinate them with our balance; automatize. All movement is congenital. Muscular movement is our inborn ability to move built into our muscular system and nervous system. You prepare your muscle, but your muscle act as in your forefathers; indicating that all people move in the same way. This means that all are the same, all moves in the same way, and both black belts and beginners have the same basic moves and positions. Movements are universal, and if we manage to decode movements, to read them, we might predict a move before it comes or see weaknesses in movements and positions; through making our movements and stances to perfection. One muscle will follow naturally others, and as a result we get a system – movements. Systems can be read because they give signals and clues. Through understanding bio mechanics we will improve our martial art positions, kata, create a deeper understanding about why the hands and feet are placed like they are, and grow as martial artists. Chinese medicine divides the body into 12 muscle regions or tendino muscular meridians (TMM). Chinese medicine states that the body is a collection of energy frequently named as Qi or Chi. This qi circulates in the meridians. The distinct qi that circulates within the TMM gives us the possibility for movement. This qi that circulates within the TMM is called for Wei qi. Wei qi are qi (energy) and xue (blood) that nourish our cells and to protect us against invasion of exogenous pathogen factors (EPF). TMM is very similar to the regular meridians speaking about localization, amount, names and organ relation overlap. On the hand we got three Yin TMM and three Yang TMM, and on the feet we got three Yin TMM and three Yang TMM. These twelve TMMs are giving us our basic muscular movements under the guidance of Shen, our mind. All movements are considered as natural and in bodily harmony. We have three connected TMM pairs of the hands and three of the feet that work in a Yin-yang pattern. If one is in a Yang state, the other one is always in a Yin state; three basic hand movements and three basic feet movements. Remember the interconnection between the muscles – if one is tense the other is relaxed. If you spot the left hand position you will automatically know the right hand position; making it possible to predict the next hand move. Look at the hands in this photo of Bruce Lee and Mike Tyson. Their hands are in classical positions: Bruce Lee – Right lung TMM and left large intestine TMM. Mike Tyson – Right San Jiao TMM and left Pericardium TMM. Mike Tyson in an active Yang and Bruce Lee in a passive/ waiting Yin (just waiting to explode). Observing the feet of the opponent we will be able to predict movements. The left foot position will give information of the right foot position. Knowing the position of a foot you might predict the next move. The upper and lower body coexists in a cyclical connection where the position of the hands gives the position of the feet, and vice verse. Look at the positions of Tony Jaa, Jackie Chan and Jet Lee. It is not a coincident that the hand and foot positions are like this. Ultimate martial artists predict the next move of the opponent. Practice creates an intuitive relation interpretation of movements. You see the opponent and immediately know the strong foot and the strong hand; you predict the moves of the opponent. Center of gravity is an imaginary point on the body that moved according to your position, if your weight are on your feet your center of gravity are located under your umbilicus, if your weight is on your hands the center of gravity moves up to the chest area. Chinese medicine name this spot for Dantian; a name very famous in Tai chi. 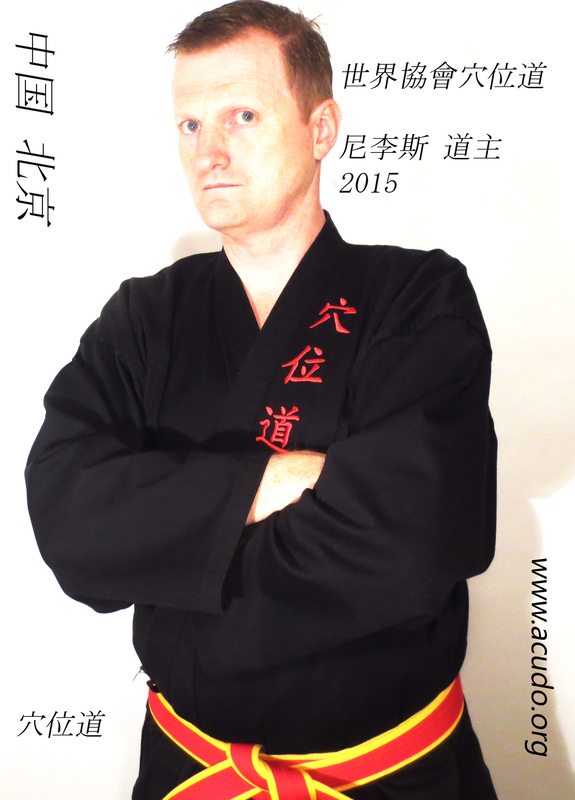 Martial arts are very focused on the center of gravity, but there is much more to focus on. The different TMMs will be published one by one. An article for us to think about.